In a hotel in Shaoxing, East China's Zhejiang Province, approximately 1,600 Yufit salespeople gathered together for a four-day training program. Yufit is a company that claims to be able to help people lose weight fast. On its official website, it describes its plan as a "modern-day nutrition engineering product." "Here we will help you find your treasure! Here we will help you also find a key to your treasure! Here you will open a new chapter to life!" Liu Siyun, a Yufit salesperson from Shandong Province, wrote on her WeChat after receiving her training. Twenty-year-old An Qi from Wenzhou, Zhejiang Province, also used to be a Yufit fan. Last year, she bought four Yufit "nutritious food packages" for 4,000 yuan ($602) and successfully lost 9.5 kilograms in one month. Less than two weeks later, however, she gained back all the weight. An told Southern Weekly that she is filled with regret. "Yufit nutritious package were just ordinary cookies. The plan basically starves you into weight loss." Yufit is now being questioned widely on social media as to whether their diet is scientific and if its sales strategy is a pyramid scheme. Despite the criticism and warnings, many fitness and appearance-obsessed Chinese are nonetheless drawn to Yufit and other weight loss schemes like moths to fire. In 2016, after viewing some Yufit advertisements, An purchased her first package of diet cookies, which cost 1,280 yuan. For the first three days she only ate the cookies, at a total intake of 360 calories per day. She drank water whenever she felt hungry. Following Yufit's instructions, starting on the fourth day An ate the cookies for breakfast and lunch, and only apples and cucumbers for dinner. She interspersed her diet with seaweed soup. By the end of the month she had lost 9.5 kilograms. But just 15 days later, she gained back 4 kilograms. The same thing happened to Li Lan, a hotel receptionist in Yangjiang, Guangdong Province. Every time she lost some weight using the Yufit method, she eventually gained back even more weight. During the diet, she kept her "trainer," a Yufit salesperson, up to date about her weight fluctuations. The trainer then adjusted her diet. Sometimes it was just a Yufit cookie, sometimes a few other foods. In Li's view, the trainer didn't play a big part in her weight loss, she thinks she could have done it alone. But the cookies were sold for phenomenal prices. Yufit public relations manager Chen Fan told Southern Weekly that the company's core "technology" is to design a personalized health management plan with a healthy diet. It aims to help clients lose weight without affecting their muscle mass, protein intake or body water. However, during their diets, An and Li both experienced hair loss and menstrual irregularities. It is not clear, however, if their symptoms were caused by the Yufit plan. After viewing the cookies' nutritional label, Gu Zhongyi, a nutritionist at Beijing Friendship Hospital, told Southern Weekly that the product is just regular wheat cookies. Gu pointed out that a single-source food intake cannot provide the proper daily nutrition that the human body requires. "It's not a safe plan to eat only three bags of (Yufit cookies) per day. A low calorie intake can also cause headaches, mood fluctuations, sleep deprivation and dehydration," he said. Southern Weekly found that while Yufit's salespeople use social media platforms as part of their customer outreach, the company also uses traditional advertisements to attract off-line meet-ups. Every month, the company holds "body shaping training" sessions for its salespeople, taught by Yufit trainers. In March, one class was attended by over 6,000 salespeople coming from all over China. Many of the company's "body fat managing trainers" claim to be certified from the Capacity Building and Continuing Education Center of the National Health and Family Planning Commission, a title they brag about when trying to sell cookies to customers. But when a Southern Weekly reporter checked the center's official website, it is stated there that there are some people who are fraudulently claiming to have been certified by the center. Among a list of fraudulent titles, "body fat managing trainer" is one of them. Consumers are also questioning if Yufit's sales strategy is similar to a pyramid scheme. Southern Weekly spoke with a number of Yufit salespeople who said the company pays them a dividend based on the number of new agents they can recruit. The more new agents recruited, the higher position - and higher dividends - a salesperson can receive. Yufit salespeople also revealed that they do not need to possess the product when making a sales call; the company itself ships the product directly to consumers. Hunan-based lawyer Xie Hui told Southern Weekly that Yufit's company operations resembles a classic pyramid scheme. "The profits are not earned by sales, but by dividends from recruiting new members," he said. Yufit is one of many Chinese companies preying on appearance-obsessed young adults by roping them into unproven weight loss plans. According to media reports, many consumers fall into such trappings every year in China. Quanzhou Evening News reported in 2016 that some local medical clinics provide massage and acupuncture weight loss programs. These clinics use slogans such as, "300 yuan per 2.5 kilograms." When a reporter visited one such clinic, he found a small room with a bed and some traditional Chinese medicine equipment. The shop used cupping therapy, charging from 200 to 1,000 yuan per package. When asked about her qualifications, the masseuse only said she was trained in Tianjin. A certificate to legally operate a beauty salon was the only document in sight. Customers who have visited such clinics complain that they spent thousands of yuan without seeing any results. One woman told media she spent 3,460 yuan on a TCM weight-loss package, but not only did she not see any results, she suffered an injury on her cheek due to improper cupping. 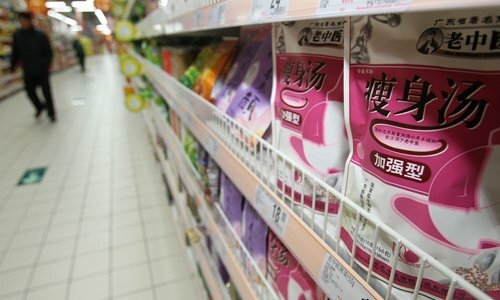 Weight loss teas and medicines have also become hot commodities in recent years, a phenomenon that suggests a growing number of Chinese young adults are over-anxious about their body weight and shape. 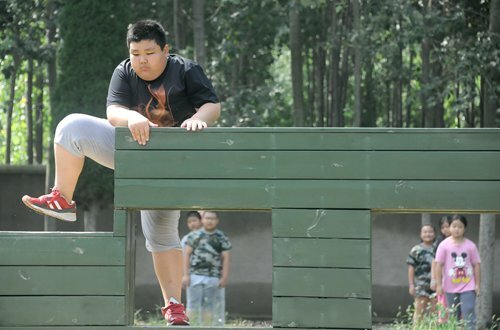 According to a 2014 report, the obesity rate of Chinese elementary school children over 7 reached 12.2 percent, compared with just 2.1 percent in 1985. 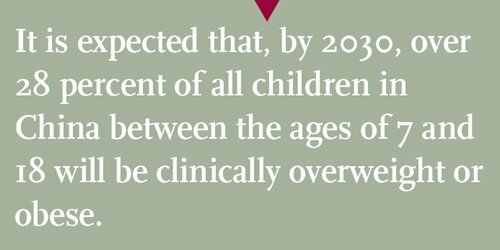 It is expected that, by 2030, over 28 percent of all children in China between the ages of 7 and 18 will be clinically overweight or obese. In the adult world, there's even more pressure on controlling one's body and shape. But searching on the Internet, one often will not find scientifically proven weight loss methods. Instead, the Internet and social media have become plagued with scams and false advertisements attempting to trick people into paying big money for quackery. Experts believe that people voluntarily fall into these schemes simply because it seems to offer painless, easy and fast ways to lose weight. "Compared with what you have to pay to sweat and exercise, diets cater to the needs of lazy people," Cao Lin, a commentator, wrote about this issue for China Youth Daily. Even though hundreds of thousands of Chinese are cheated out of their hard-earned money every year from deceptive weight-loss schemes, just as many people willingly and even knowingly sign up. Although Yufit has been questioned and criticized widely on the Internet, its official website still exhibits an advertisement claiming that its "healthy, fat-reducing technology has helped 200,000 people lose an accumulative 2,000 tons."